We can’t think of any better souvenir from Louisiana than one of its unique food products. Our state is known for its cuisine and the items below are often the reason for the tasty foods you enjoy while here. Next time you visit us, take some “Louisiana” home with you. Or, order the products online now. Add flavor to your biscuits and waffles with this tasty syrup made from sugar cane. In 1910, Mr. C. S. Steen started his mule-drawn syrup mill in Abbeville, producing a couple barrels of syrup a day from sugar cane grown in the area. Today, the company produces several products including light and dark molasses and pure cane vinegar along with its original recipe of syrup. It is still family-owned and operated. 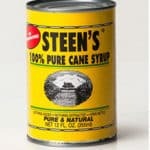 Steen’s products can be ordered online or found all over Louisiana. The TABASCO® plant is suitably located in Cajun Country, just outside of New Iberia (less than a 2-hour drive from Baton Rouge). The recipe for the Original Red Pepper Sauce was developed by Edmund McIlhenny in 1868 on Avery Island where it is still family-owned and operated. Today, the TABASCO® line has extended to condiments, sauces and more. Visit the plant, take a tour, see how the sauce is made and be sure to purchase a few products. There are some products only offered at the plant when you visit. While there, enjoy the peaceful, tranquil setting of Avery Island Jungle Gardens, where the plant is located, which will appeal to bird watchers and nature lovers. Cook like a Cajun and impress everyone with this product which, despite its name, is not only for fish. The mission of the company is “To celebrate and share authentic Louisiana flavors with the world”. Their products can be used in a variety of Cajun recipes incorporating shrimp, crawfish and vegetables, as well as jambalaya, etouffee and gumbo. 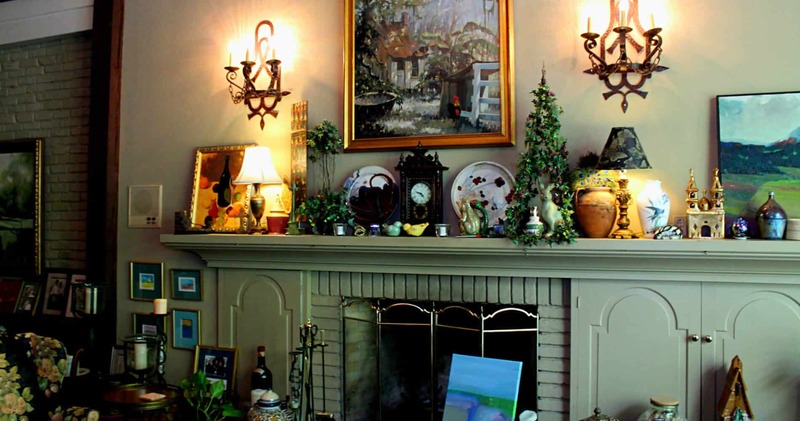 The company was founded in Baton Rouge in 1982 and today produces a line of 100 products. Born in 1905, Tony Chachere (the man) was a lover of life, hunting, fishing, and perhaps most of all, cooking. In 1970, Mr. Chachere published the “Cajun Country Cookbook” and in it, he included the recipe for his favorite homemade seasoning blend. In 1972, due to requests from friends, he began to manufacture his now famous Creole Seasoning. The products produced by this family-owned company have exploded into almost everything Creole: marinades, dinner mixes, sandwich sauces, roux & gravy mixes, even a renowned bloody mary mix and more. Tony Chachere products can be found in a wide variety of stores, as well as ordered online. 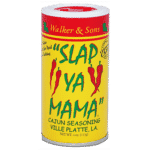 Claiming that he never did really slap his mama, Anthony Walker was the sole originator of the award-winning Slap Ya Mama brand seasoning. It is recommended for everything from popcorn to popcorn shrimp, breakfast to late night snacks, and gourmet foods to French fries. Today, the Walker family proudly produces this product where it originated, in Ville Platte, Louisiana. Look for this seasoning in stores all over Louisiana or visit its online store where you can read about how the seasoning got its unique name. Book your stay at The Stockade Bed and Breakfast and we’ll help you to find these and other local Louisiana food products to take home with you. This entry was posted in Food and Beverages, Louisiana by admin. Bookmark the permalink.